Keeper has managed to create a visceral listen with ‘The Space Between Your Teeth’, and it bears listening to a few times, to catch all the goodies on display. Snag this one, turn off the lights, bar the door, and ignore your neighbours as you scald the paint off the walls at high volumes. The heavy atmosphere they generate is a miasma out of the speakers, settling like fog on a fresh grave. It's very dark and very primal in its execution. When you have a 2 song album that takes forever to download, you know you're gonna have a good time! 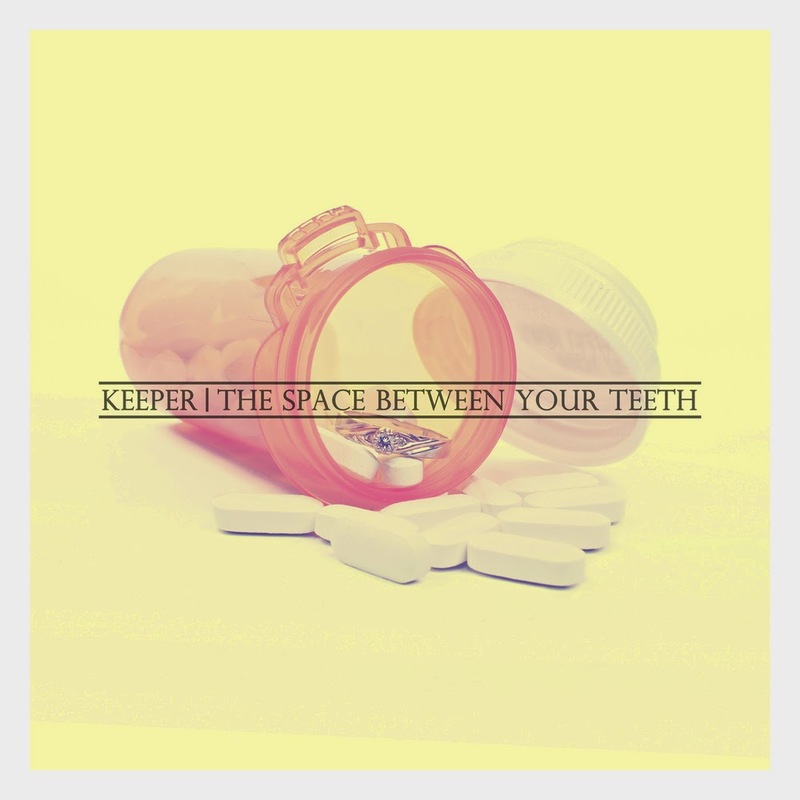 Such is life when I downloaded the new Keeper album, ‘The Space Between Your Teeth’, which is an unsettling title if you don't floss like your mom says you should. 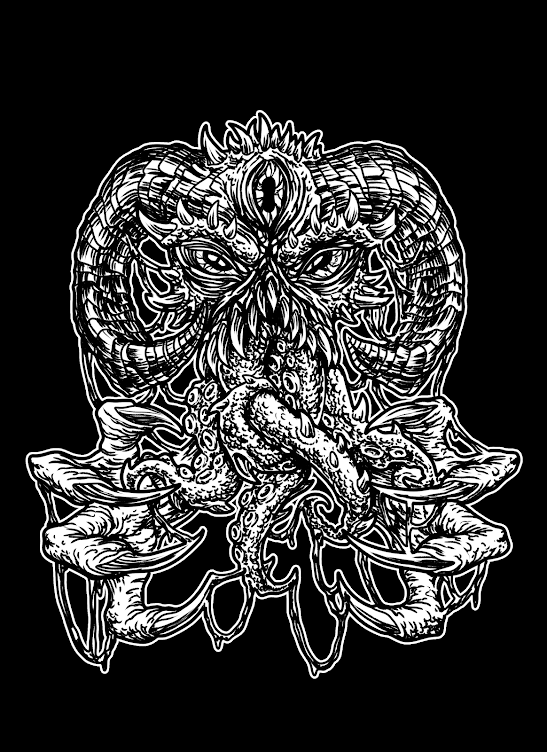 The new offering unto the dark gods is 2 songs long, ‘The King’ & ‘The Fool’, and runs just shy of 33 minutes, making for a short fall into a black grave. First things first: the Sound. 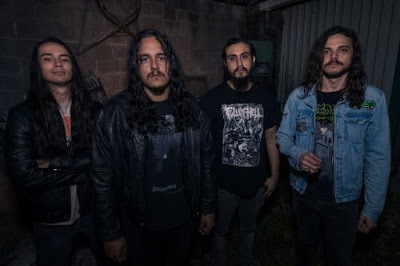 Keeper subscribes to blackened or funeral doom, which means the vocalist sounds like he's screaming through ripped out vocals, over a very heavy, very black metal style of guitars and production. The heavy atmosphere they generate is a miasma out of the speakers, settling like fog on a fresh grave. It's very dark, very primal in its execution. Unlike black metal, it’s fairly slow, and not very technical, so expect nothing to shred the air to, unless you like air chords. The drums have a very progressive metal sound, as the drummer loves the cymbals later on in the first song, ‘The King’, but its a backbone sound for a very tight band so no worries. It's all low slow, and jagged, however, they don't just make one song bleed into the other, there is much distinction. Sonically, ‘The King’ has a lot more of the double guitar, with one handling the really rough, darker chords, while the other has a faster alt picking method, which goes towards the blackened sound mentioned previously. ‘The Fool’ is a bit more simple, with a massive riff handling most of the song, like a towering giant plodding towards you, unstoppable, implacable, growing until it reaches you. ‘The Fool’, in my opinion, is very much the better (read: Heavier) track, simply because it comes off as hopeless. By this I mean the sound leaves no room for smiles, or laughter, it pulls all emotion to it like a black hole, replacing it with the sonic disturbance coming from the speakers, calling out for you to give everything up and just listen. It just really grabs me and seems the more solid of the two tracks, due to the simplicity and the aggression I get from the guitars. It's just angry and brutal, and that's what I love! Even after drinking some Deathwish coffee, this release just brings my energy down into a steady bleakness. It's true brutality, of physical and spiritual natures. Both songs have incredible riff breaks, where the songs just amp up the aggression and energy. The breakups keep the songs from being meandering dirges, which is easy to do, and can twist their music into strange forms that crawl inside the ear and just sit on the soul. Keeper has managed to create a visceral listen with ‘The Space Between Your Teeth’, and it bears listening to a few times, to catch all the goodies on display. Snag this one, turn off the lights, bar the door, and ignore your neighbours as you scald the paint off the walls at high volumes inside ‘The Space Between Your Teeth’. Dental Plan optional.